It’s a bird … it’s a supermoon … it’s … an ultra-rare Facebook LIVE event with me, this Sunday! Actually, it’ll be my first ever Facebook Live, and I’m so excited! I’m feeling social and spontaneous and would love to connect with you! Plus, I adore the idea of cozying up with you for some playful-yet-profound convo’s about life, money, and meaning. Join me this Sunday for a special Facebook LIVE. I’m keeping the plan loosey-goosey, ‘cos I love feeling into who’s there and what’s wanting to happen, in the moment. That said, you can bet there’ll be some loving, unconventional money wisdom … and chances to ask me your questions about money and my year-long Art of Money program … and most likely an appearance from my 16-year-old tabby kitty. What: A rare, LIVE mini-taste of my money teachings plus community Q&A! Who: You, me, and other lovely folks working to create more health and empowerment in their money relationships. Where: On my Facebook page, right-this-way. So really: from your comfiest chair (no need to wash your hair). What now: Go ahead and add the date and time to your calendar. And, we’ll send a quick reminder just before we start as well. I’ll see you there! Bring your open heart, your curiosity, your passion — even your longing and frustration for more joy and peace in your money relationship. It’s all welcome here. I’ll meet you there with soft candlelight, years of experience navigating these lands, and a mountain of compassion. P.S. 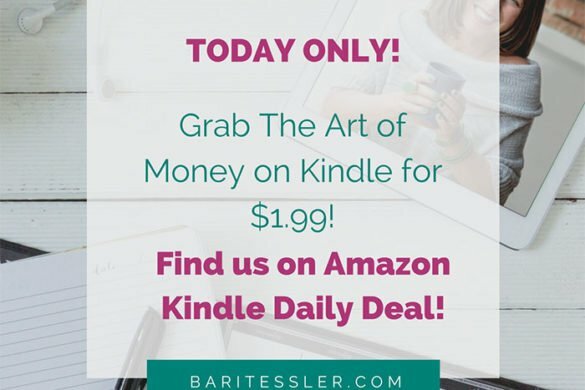 Got questions about my year-long program, The Art of Money? We’re about to begin our year-long journey together (on February 1st), so now’s the time to decide if it’s right for you. If you’ve got questions about the program — or want to experience for yourself what my live teaching style is like — this Facebook Live is for you! Click this link on Sunday at 3pm Mountain Time (US). Can’t wait to see you!